At Avosant Surgical Associates we aim to use advanced evidence-based clinical care to help our patients achieve health, and total wellness. We have put together a dynamic team of highly qualified and skilled board certified physicians to target a multi- specialty range of medical and surgical issues including hand surgery, pain management and therapy, foot and ankle surgery, plastic and reconstructive surgery, and general surgery. We continue to put the highest merit on integrity, validity of evidence-based care, and compassion in health care delivery for each patients. Our pain management specialists offer the most advanced options and techniques in diagnosing, treating, relieving, and managing pain for our patients and creating a better, more enjoyable quality of life. We are highly experienced in the management and care of patients suffering from pain emanating from a wide variety of etiologies such as acute post-operative pain, injury, chronic pain, cancer pain and more for both adults and children. Taking the steps to relieve pain involves a lot of trust in your physician. Our compassionate physicians are dedicated to delivering comprehensive, detailed medical evaluations and highly specific treatment plans tailored for each individual patient and their needs. We believe in providing a multi-disciplinary approach when treating our patients through the use of physical therapy, cognitive therapy, chiropractic care, alternative medicine, pain medications, and when needed, minimally invasive procedures. Browsing our website will give you information on different disorders we treat, as well as different surgical procedures. 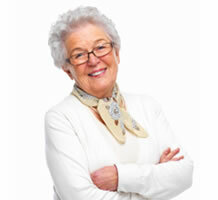 Avosant Surgical Associates has continued to excel in providing acclaimed and sought-after care. While formed by surgeons, our group firmly believes in the benefits of timely conservative, multi-disciplinary, and preventative measures to be complemented by surgery, only when necessary. Our emphasis here is on patient care before, during, and after any procedure and on a sense of wellness that emanates with healing from the inside out and outside in. Our attention to detail in every aspect of the “health care experience” is proven through our long list of highly satisfied patients, the thorough and complete consultation process, and the high level of trust that is felt between patients and physicians. 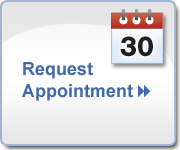 Join our list of gratified patients and let us guide you on a path to recovery and a greater quality of life.